So, you have a ‘company’ van. You clearly use it for work and business purposes and it’s also on your drive at home. But there’s a question that’s going to bother HMRC more than it’s going bother you until it’s too late – should you pay tax on the company van? The answer is more than likely… yes. For HMRC’s purposes, a van is defined as “a vehicle of a construction primarily suited for the conveyance of goods or burden of any description (not including people)” with a design weight (when in normal use and travelling on a road loaded) not exceeding 3,500 kilograms. A double cab pickup may be classified as a car or a van depending on its VAT classification while (mini)buses etc. are not vans because they are primarily designed to carry people. As the law is written, you are liable to pay tax on all “significant” private usage of a van – in other words, for journeys that you make for your own private benefit including regular shopping trips, for holidays, the distance to get to and from the likes of IKEA, or just general social activity. While physically there’s nothing stopping you making the trips – assuming the van is taxed, MOT’d and insured – unless tax is declared and paid, HMRC is going to take a very dim view of the matter should it find out. By definition, you do not have to pay tax on any journeys which are considered to be “insignificant private use” – that is, the odd or very rare trip which is not regular (such as journeys that are brief and very occasional). These might be a trip to the tip a couple of times a year; making daily, but short, detours to get a paper and lunch on the way to work; or stopping off at the doctor on the way home. Infrequent as they are, HMRC does conduct regular audits on firms nationwide to check on private usage of vehicles. And so, if this happens, how will you prove a trip in the company van was insignificant? Sadly, it’s going to boil down to what appears in the taxman’s manual and what your company can prove – your personal situation or perspective is unlikely to be taken into account. As for how HMRC undertakes its compliance checks, they’re mostly down to common sense. Tax inspectors have been known to check vehicle registration numbers they find in supermarket car parks – especially at night, on weekends and bank holidays. From there it’s just a question of a simple search of the DVLA computer to see who owns and is the registered keeper of the van. The next stage in the discovery process means checking the HMRC computer to confirm the owner or keeper is a company and whether or not any company van benefits have been declared on employees’ P11Ds. If not, HMRC will then conduct an Employer Compliance Audit – and that’s where the problems start. Not unsurprisingly, HMRC’s taxmen will want you to prove that your company van is not being used for significant private use. They’ll also want to see that the company has put in place measures to prevent significant private use unless that private use has been declared (and tax paid). This might mean checking company policies, seeing if employees are made to sign off on policies while noting down business mileage and so on. Indeed, it’s for these reasons that you may have been told – despite that it looks like you’re being spied upon – to note down every journey made in the van, because by doing this both you and the company will avoid any tax tied to the use of company vans or company fuel. Similarly, it’s also the reason why you may be told to pay for private use of fuel. While ordinary commuting from home to a job is allowable, it’s still important to be accurate with record keeping. We’re all busy but estimating journey distances can get you and the company into trouble with fines. As to what to put into a mileage log, it needs to record the van, driver, date, start and end of the journey, stops made, start and end of daily mileage – and importantly – the number of business miles covered. The company van policy is very important. It’s an employer’s ‘get out of jail free’ card. It should be a clear and well written document that outlines permitted uses of the van and specifically what private use is allowed. The company needs to keep the document updated and you should have been given it to read before taking a van out. You may have been asked to sign a document noting that you’ve read the policy. Don’t ignore it – if the company can show that it’s done what is required of it it’ll be you that’ll be left holding the tax baby. To the nitty gritty of the tax regime. If there is private use you – no matter if you’re an employee or director of the company – will have to pay income tax on the company van. There is an additional tax charge where fuel is provided for private use. On top of that, the company providing the benefit pays Class 1A national insurance contributions at 13.8% on the value of the benefit and must tell HMRC of the benefit via a form P11D. As to how much you’ll pay, the tax charge is your rate of tax multiplied by the benefit that HMRC sets for the year in question. For the tax year 2017/18 the van benefit was £3,230 while the van fuel benefit was £610. This means anyone on a 20% tax rate would have paid £646 tax for private use of the van and an additional £122 for private use of company fuel. 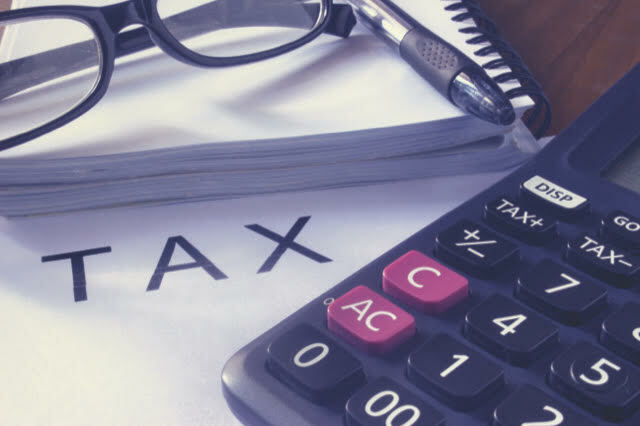 The rates for the current tax year – 2018/19 – are £3,350 for the van benefit and £633 for the private use of company fuel. Again, a 20% rate tax payer will pay £670 for using the van and £126.60 for using company fuel. The company, as we’ve seen earlier, will have to pay Class 1A national insurance contributions at 13.8% on the £3,983 value of the benefits – you’ll recall the £3,350 for the van and £633 for the fuel – a total of £549.65. However, it can set this charge against its tax bill. For the eco-friendly company, there are tax savings for using zero emission vans. However, the government is losing too much revenue on this and so is gently phasing the discounted vans benefit charge out between now and the 2022/23 tax year. The tax charge to be paid was 20% of the normal rate of tax on the van between the 2015/16 and 2017/18 tax years. It’s now 40% of the standard charge for 2018/19 but will rise to 60% in 2019/20, 80% in 2020/21, 90% in 2021/22 and will be the full 100% of the standard tax charge from 2022/23. Lastly, VAT is an unpleasant extra for most. But luckily, VAT on the purchase price may be reclaimed by a VAT registered business. However, when the van is later sold VAT must be charged on its sale. There is also VAT due on private use of company fuel. But that is a whole other story.